Sarah Riazimehr was born and raised in Tehran, Iran. She completed her bachelor studies in Electrical Engineering at the Amirkabir University of Technology – Tehran Polytechnic, Iran. Due to her passion for complex engineering topics and the interest in the field of semiconductors, she moved to Stockholm, Sweden for her Master studies in Nanotechnology at Kungliga Tekniska högskolan (KTH), where she took her first steps in cleanroom manufacturing. After finishing her Master studies at KTH, she worked for almost an entire year as a research engineer at the department of applied physics in the Nano silicon group. There, she was responsible for the physical characterization of functionalized surfaces in the frame of “Droplet microfluidics and functionalized nanowires for detection of circulating tumor cells”. This position helped her to gain experience in the physical and electrical characterization of semiconductor materials and devices. 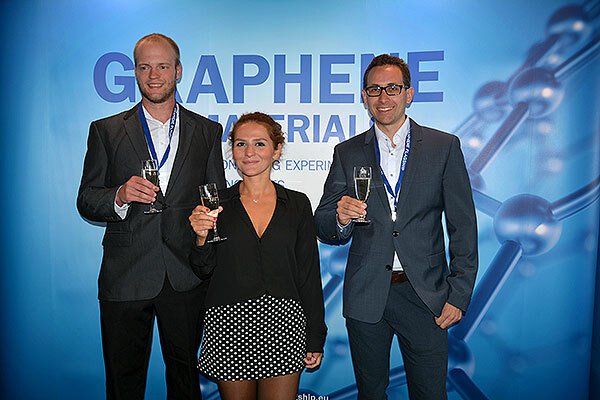 In June 2013, she joined the group of Graphene based Nanotechnology in University of Siegen, where she started her PhD studies under supervision of Prof. Max Lemme. Since then, her main focus was entirely on scientific research activities based on graphene and other 2D materials for optoelectronic applications. During her PhD studies, she acquired experience in fabrication as well as electrical and optical characterization of photodetectors based on 2D materials. 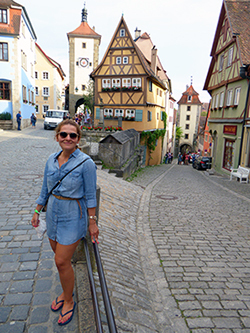 Following her supervisor Prof. Lemme, she moved to the RWTH Aachen University in April 2017, where she continued her PhD studies at the department of Electrical Engineering, which is collaborating closely with AMO GmbH. 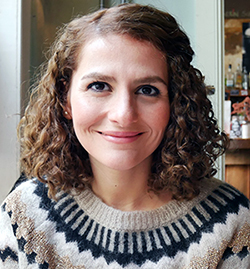 She handed in her PhD thesis in September 2018 and will soon graduate from RWTH Aachen University. Over 6 years of laboratory work and research experience in the highly interdisciplinary fields of nanotechnology, nanoelectronic, optoelectronic devices including design, fabrication and characterization, Optical engineering, optics materials science, thin film fabrication and analysis. Excels in analytical-creative thinking, commitment and perseverance. Enjoys contributing to solving technical and scientific issues and mastering multidisciplinary scientific challenges with talented colleagues. Traveling, Painting, Swimming, Cooking, Crochet, Fashion. Nobel Prize Dinner, Graphene Study 2017, Gothenburg, Sweden. From left to right: Christoph Süßmeier, Sarah Riazimehr, Daniel Schneider. 76th Device Research Conference (DRC), 24-27 June 2018, University of California, Santa Barbara, USA, Redefining Responsivity in Graphene based Schottky Diodes (poster). Graphene Week 2017, 25-29 September 2017, Athens, Greece, The origin of high photocurrent in Graphene/Silicon photodiodes (oral presentation). Graphene Study 2017, 25-30 June 2017, Hindås/Gothenburg, Sweden, High Photocurrent in Graphene–Silicon Photodiodes (poster). ImagineNano, 10-13 March 2015, Bilbao, Spain, Spectral Sensitivity of pn-junction Photodetectors based on 2D materials (poster and oral presentation). 2015 Joint International EUROSOI Workshop and International Conference on Ultimate Integration on Silicon, 26-28 January 2015, Bologna, Italy, Spectral sensitivity of a graphene/silicon pn-junction photodetector (oral presentation). 44th European Solid-State Device Conference (ESSDERC 2014), 22-26 September 2014, Venice, Italy. 43rd European Solid-State Device Research conference (ESSDERC 2013), Bucharest, Romina, 16-20 September 2013.